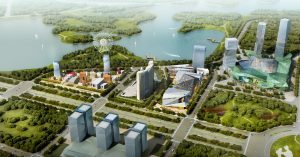 Longxiang Plaza is located at the intersection of two expressways (Beiyuanda Street and Longhu Road) in the northeast of ‘Changchun High-tech Industrial Development Zone (North District)’. The project includes the development and construction of Longxiang Plaza itself as well as four plots of land around the existing Jixing Building. 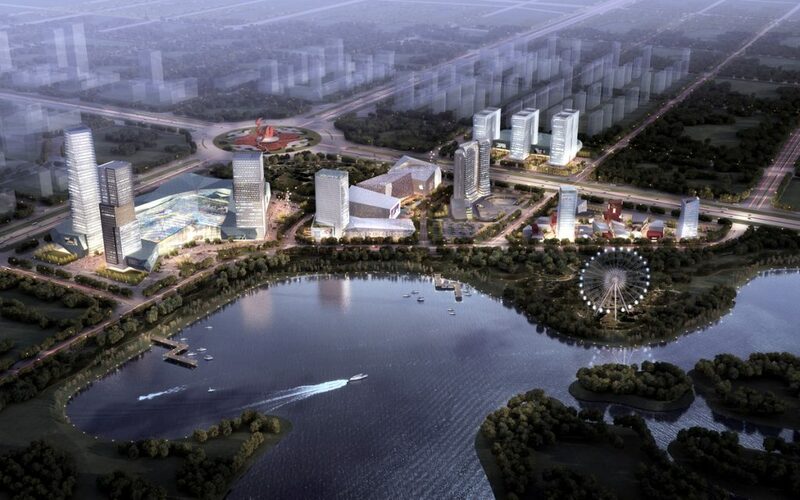 As per Client’s requirement, this area will be turned into the next comprehensive urban center in Changchun. 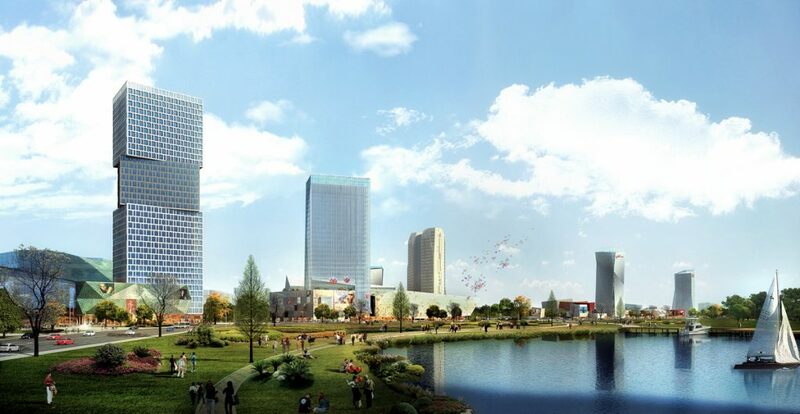 Longxiang Investment Holding Group Co Ltd.
Continue reading "Changchun ‘Longxiang Plaza’"
Adjacent to the two arterial roads, the project enjoys outstanding connectivity. 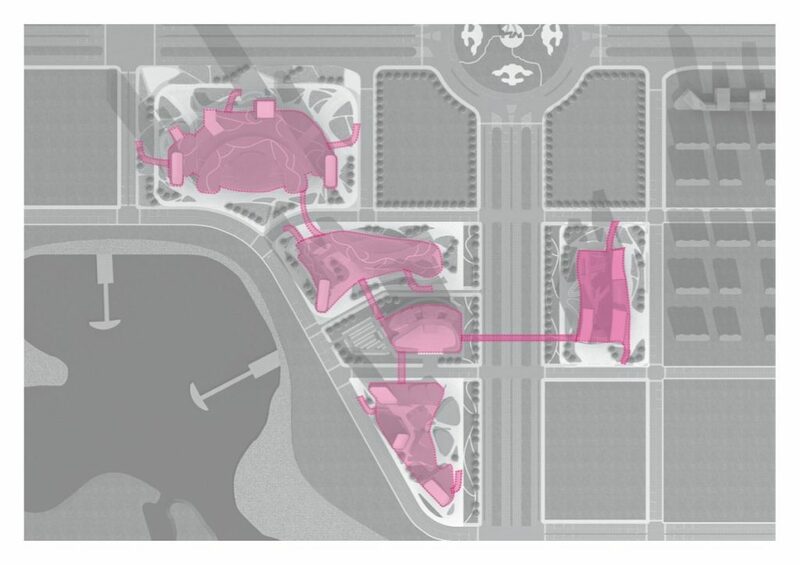 The Beihu Wetland Park on the west side of the site is of great appeal… The design makes full use of the landscape resources so that the planned new buildings can all have access to the beautiful scenery. In the future, diverse commercial formats (leisure, commercial, hotels, apartments, offices, etc.) will attract a large number of business people. The dynamic and vigorous architectural style also offers a striking and attractive urban scene. 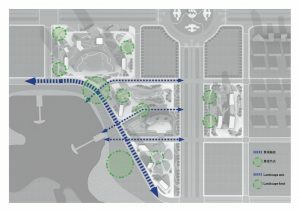 The overall project is designed to be low in the south and high in the north, in order to respect the central location of the existing Jixing Building and to ensure best views of all buildings along Beihu Park. 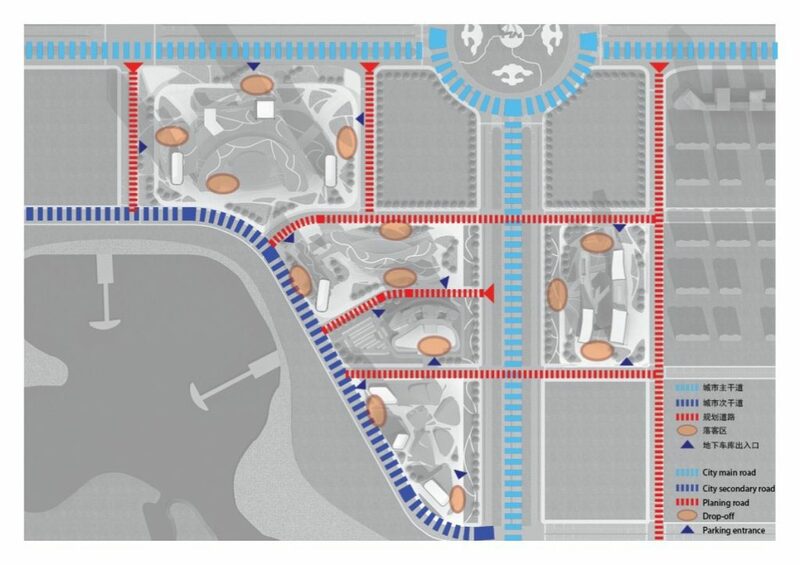 The plan outlines a city skyline that is gradually rising from south to north. The high-rise buildings in the plot are surrounded by water bays of Beihu Park from the south to the north, forming a high point on the northernmost super-tall buildings as an important landmark of the city. 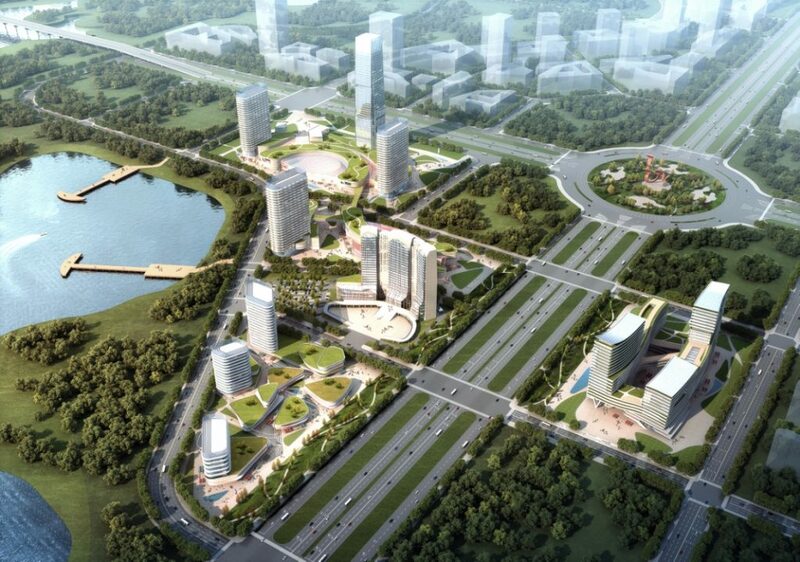 The high-rise buildings will serve as offices in the future, and they all can enjoy splendid views of Beihu Park. The southernmost plot among the three – on the west side of Beiyuanda Street – has been positioned as the Center of Science and Technology. 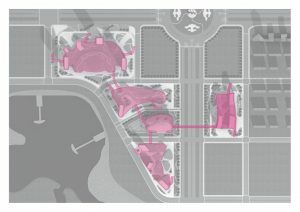 The southeast side of the plot is for multi-storey buildings, whose volume and scale are relatively small, while the layout is flexible to serve as individualized exhibition space. 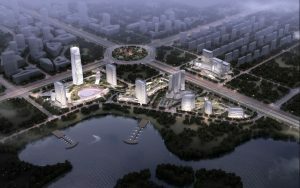 At the same time, the design avoids blocking the view of Jixing Building. Several tall buildings are arranged on the west side (along the lake), as SOHO office space. Multi-storey buildings will be designed with a rooftop garden to create pleasant views. The central plot (north side of Jixing Building) is planned to be ‘Longxiang (Phase I) Lifestyle Plaza’ including a five-star international hotel. 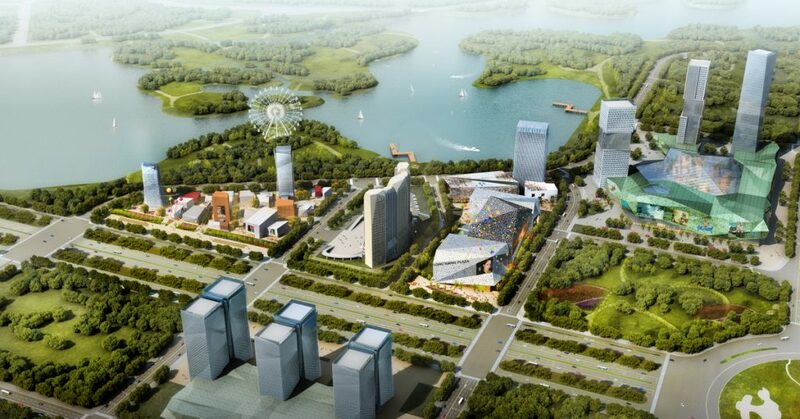 3 or 4 storey buildings will form commercial space so as to meet the needs of the High-tech Zone. 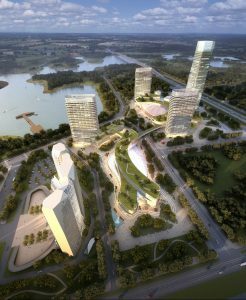 The hotel will have guest rooms on higher floors facing the lake, so that every room offers optimal views. 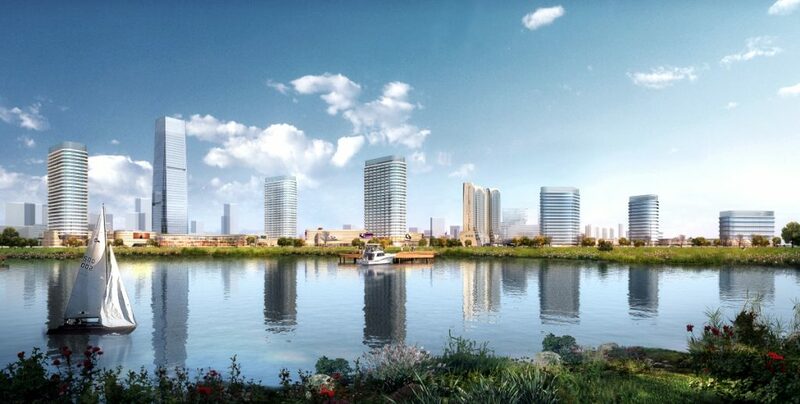 The plot on the north side is planned to host ‘Longxiang (Phase II) Future Plaza’, a ‘Water World’ complex, a quasi-5-star business hotel, serviced apartments and super high-rise office buildings (220 meters). 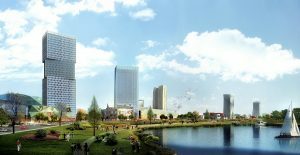 The plot on the east side of Beiyuanda Street is planned as Financial Centre, which echoes the planned buildings on the west side. 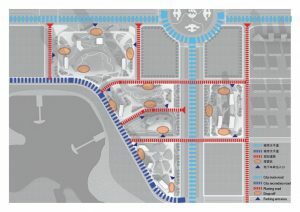 The underground (garage) of the four plots will be connected. 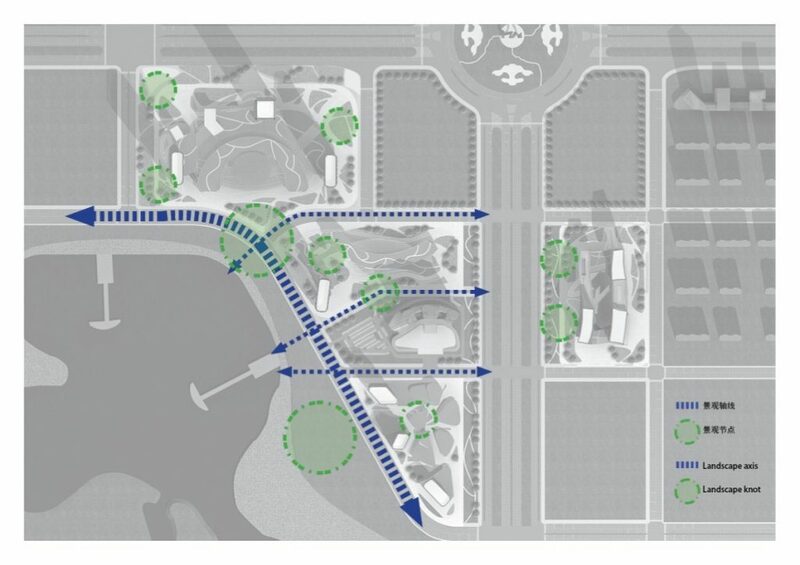 Proposal 1 uses natural arc elements in the design of the entire project to create a stable and smooth overall image. Proposal 2 highlights the volume of buildings and vibrancy of space accentuating the beauty of geometric elements and making the building full of tension and vitality. The façade design adopts a diversified approach with futuristic art, emphasizing new technologies and catering to people’s aspiration for innovation and exploration.